Grumpy cat is about to get grumpier! 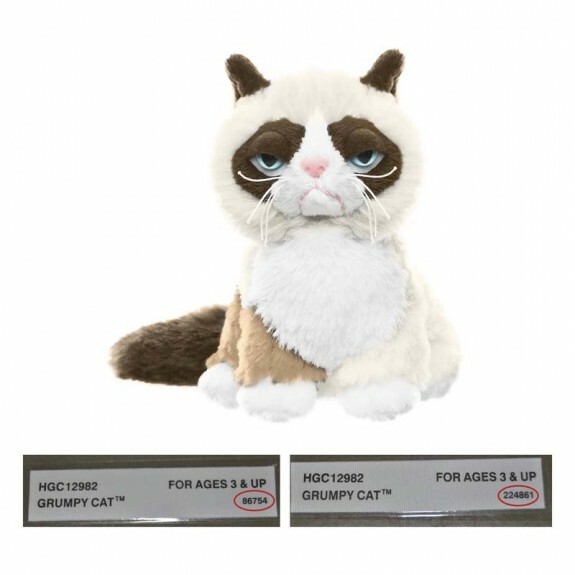 The U.S. Consumer Product Safety Commission, in cooperation with Ganz, today announced a voluntary recall of about 8,200 Plush Grumpy Cat stuffed animal toys because the stuffed animals’ eyes can detach, posing a choking hazard to young children. The firm has received six reports of the eyes detaching from the Grumpy Cat toys. No injuries have been reported. 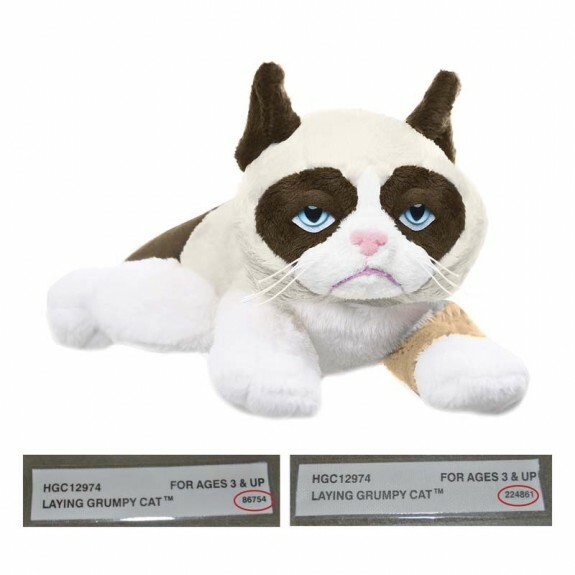 This recall involves three styles of plush Grumpy Cat stuffed animal toys by Ganz. 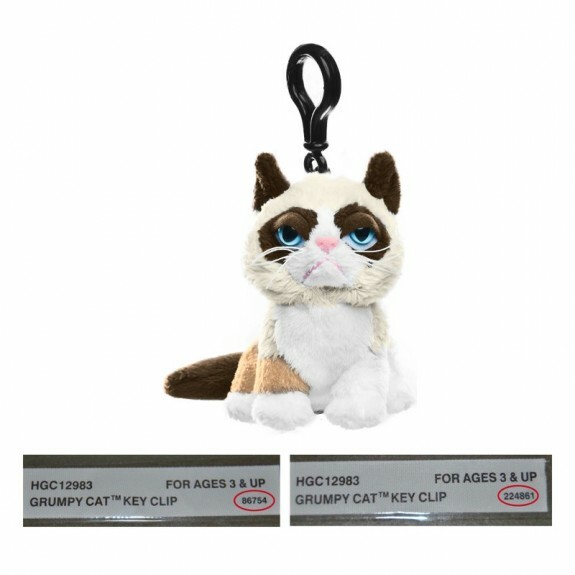 They include an 8-inch Grumpy Cat in laying position, a 5-inch long sitting Grumpy Cat and a 4-inch Grumpy Cat key clip. 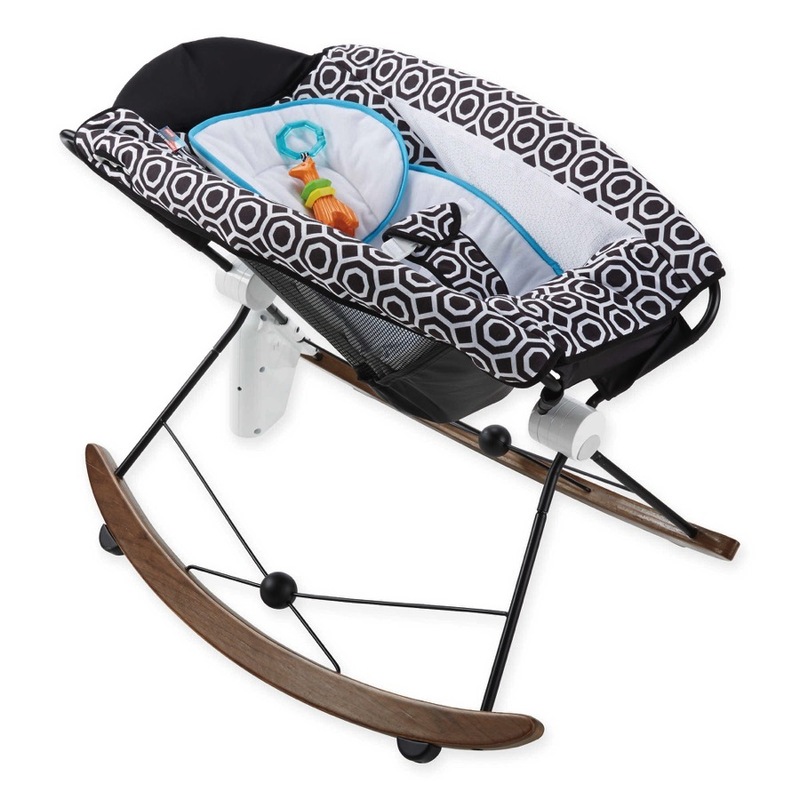 The toys are multi-colored in white with dark brown, light brown and gray fur material. Grumpy Cat toys have blue crystal eyes with the eye lids half closed, a down-turned mouth and white whiskers. This toy is labeled for ages 3 and older. The Grumpy Cat key chain has a black plastic key clip at the top of the cat’s head. The recalled toys have batch numbers 86754 or 224861, and model numbers printed on the sewn-in label located near the tail of the cat. Consumers should immediately take the recalled toys away from children and contact Ganz Ganz at (800) 724-5902 between 9 a.m. and 6 p.m. ET, Monday through Friday or online at www.Ganz.com and click on Recall Info for more information about how to get a free replacement Grumpy Cat product of equivalent value or a full refund.